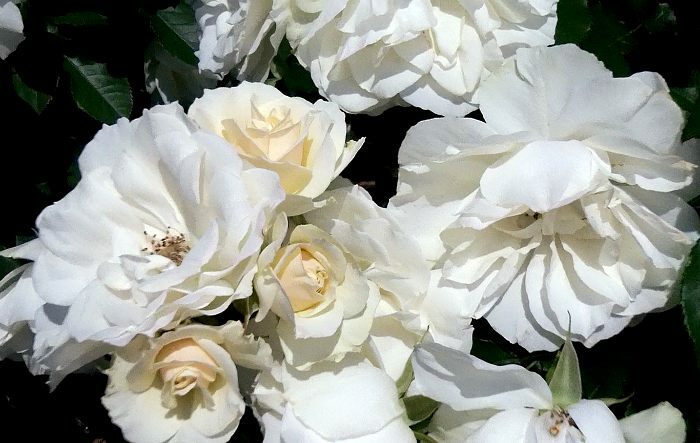 When one thinks of a garden, it is difficult not to think of flowers, and in some gardens flowers dominate the scene at least part of the year. Likely humans have always enjoyed flowering plants – who cannot resist a field of wildflowers in full bloom or azaleas carpeting a mountain meadow? When exactly people started to grow plants for their flowers is lost in the annals of history, however, for as long as humans have lived on this planet the importance of plants as both a source of food and medicine is without question. The first cultivated flowering plants were probably weeds around farms that were beautiful to look at and not too difficult to control. 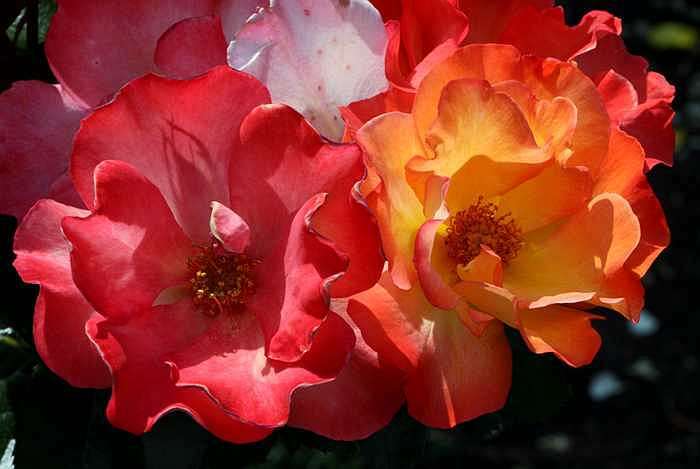 At first tolerated, in time they began to be purposely cultivated and even selectively bred – and so began the human love affair with ornamental flowers. Flower gardens can have a variety of forms and themes. 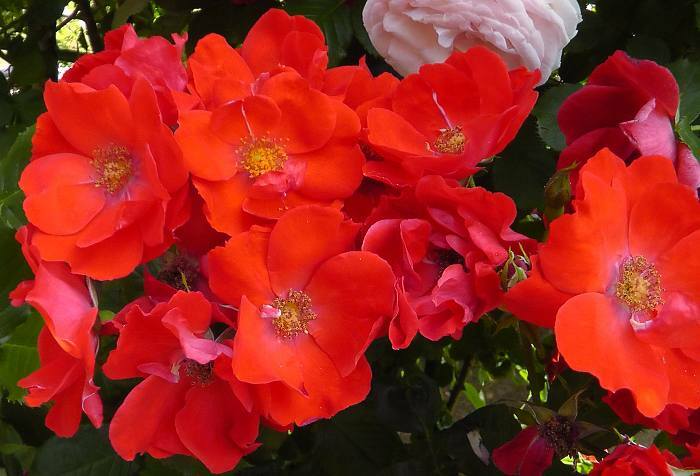 Many cottage gardens feature flowers, as do classic English gardens. Annual plants in particular are commonly grown in beds that can be planted two or more times a year to make for stunning mass displays that are always changing. 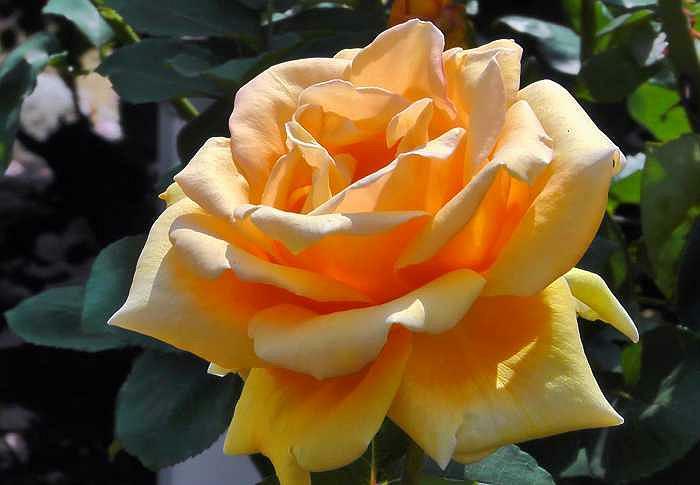 Some flower gardens are largely devoted to one type of flower, for example rose gardens. 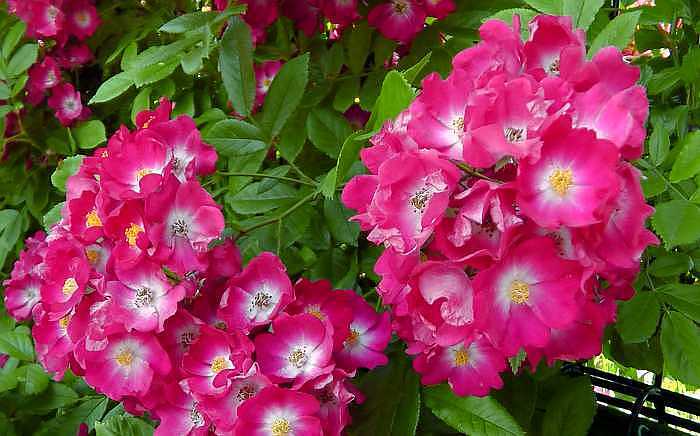 One advantage of such a garden is the ability to see many different varieties of a particular plant growing side by side, while the downside is that its visual appeal is limited to just the flowering season. 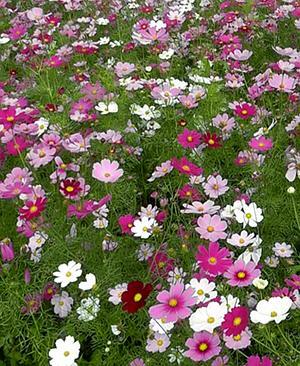 Mixed perennial gardens, if carefully planted, can have flowers in them the entire growing season. Flowering bulb gardens are typically incorporated into larger gardens to add a splash of color. 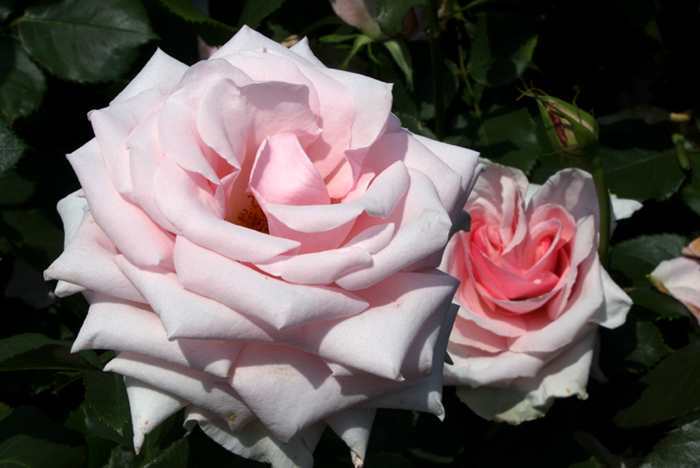 Regardless of type, flower gardens are common nowadays, both public and private. In this series of articles I’ll focus on examples of different flower gardens, particularly ones in my adopted home, Japan. 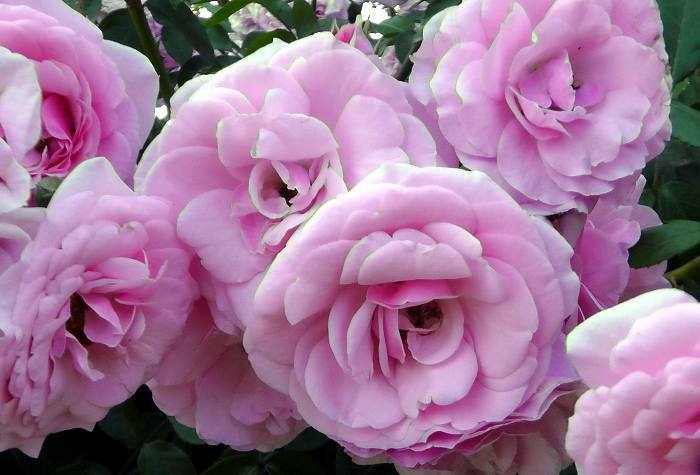 The Japanese have been purposely growing flowers for centuries, a habit they acquired from their neighbors, the Chinese. Odd enough though, flower gardens seen in Japan today are probably more influenced by western ideas than the earlier Chinese concepts which are more in tune with Zen gardens of holy sites. 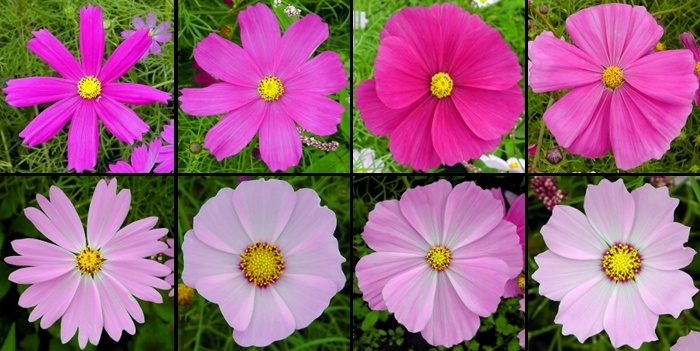 For example, cosmos are mass planted throughout the warmer regions of Japan today, something very out of place in a traditional Japanese setting. Flower gardens abound in the country today, to such an extent that flower viewing is an important seasonal past time in Japan. This desire to look at masses of flowers is known as hanami, literally meaning “flower viewing”, and has become a major national pastime. People flock to flower gardens to see hydrangeas, roses, Japanese iris, peonies, cosmos… and of course cherry blossoms throughout the year. 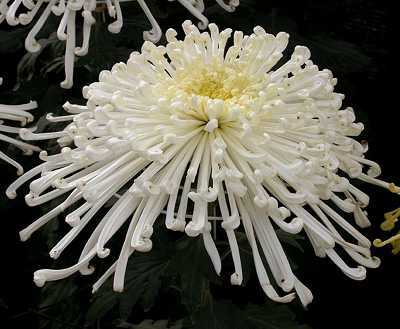 So, come along for the tour and a bit of history of the flower gardens of Japan. Just south of Fukuoka City on the island of Kyushu, Japan is the small city of Dazaifu. This town is saturated with history, once serving as a major political center, and hosts one of Kyushu’s most famous and visited shrines, Tenmangu. The shrine is well known for its extensive collection of ume trees, Prunus mume, and is a focal point for school kids to come and pray for good luck on their exams. Almost never is the shrine or nearby streets and shops free of tourists, both native and foreign. 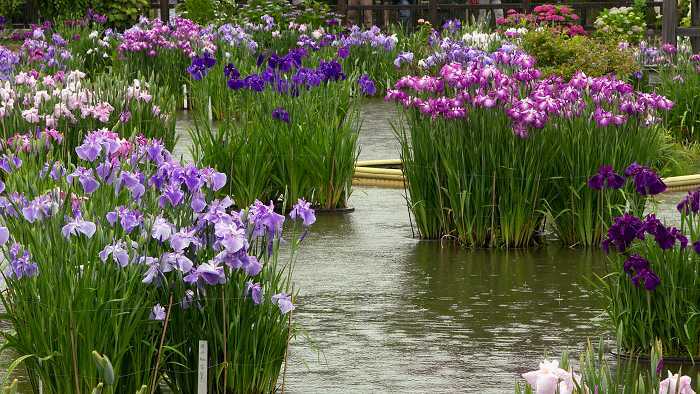 One of the shrine’s less known features is its large pool garden full of the Japanese iris (Iris ensata) that explodes into flower right in step with the monsoon rains of early June. 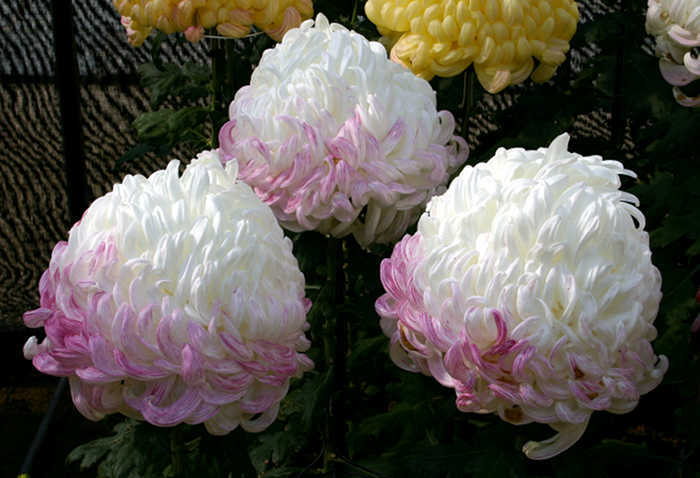 Known as hanashoubu in Japanese, today many hundreds of varieties exist, from pure whites to pinks, every shade of blue, rich purples, the whole spectrum of intermediate shades of these, plus multicolored and intricately patterned flowers. The center is commonly marked with yellow, a feature that hearkens back to the wild plant that can still be found in wetlands over much of southern Japan, I. ensata v. ensata, called nobanashoubu in Japanese. 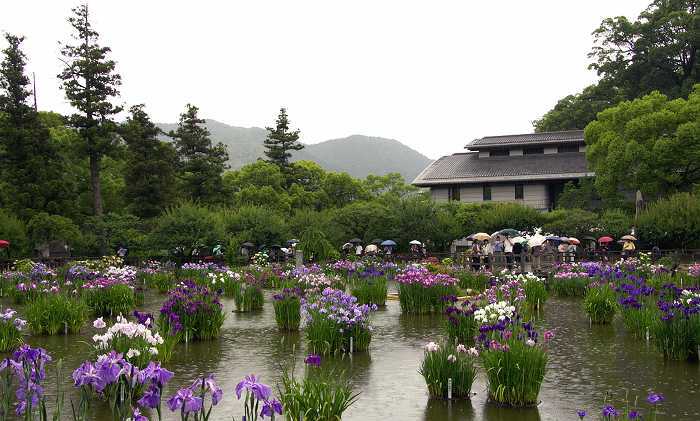 The iris pool garden at Tenmangu Shrine, Dazaifu, Kyushu, Japan is brimming full of Iris ensata this wet June morning – right in step with the summer monsoon. 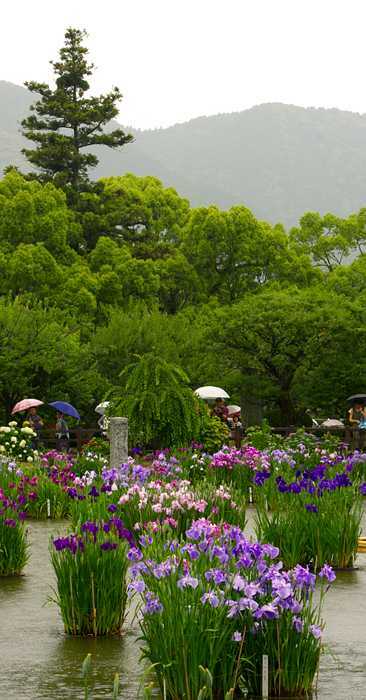 In Tenmangu’s iris garden one can get a eyeful of the variety that have been produced over the last several hundred years. 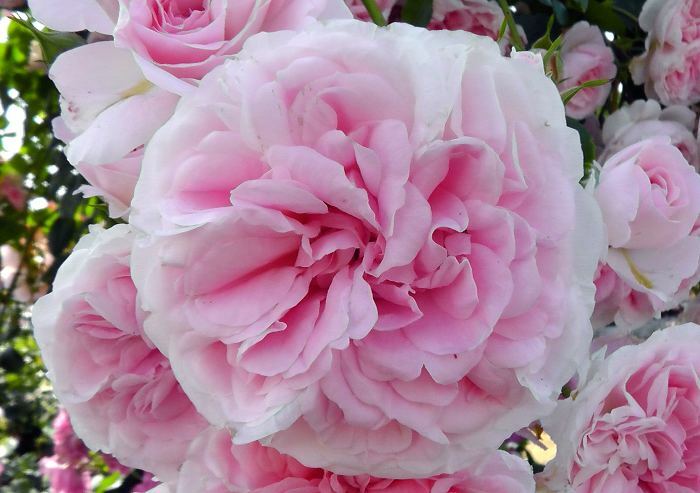 Within the Japanese cultivars there are three primary groupings – Edo (hailing from Tokyo under its old name), Higo (developed under the auspices of the Daimyo of Kumamoto, Hitoshi Hosokawa), and Ise (improved cultivars created in the Ise-Matsusaka area of Mie Prefecture). A more obscure group hails from Ayame park in Nagai City, Yamagata Prefecture, and are called the Nagai group. 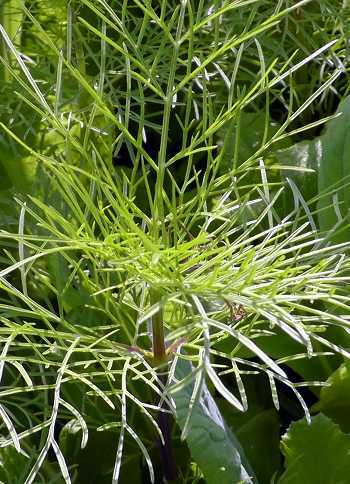 They were rediscovered after the breeding efforts that took place in Edo (old Tokyo) and are thought to be closer to the original wild plants. 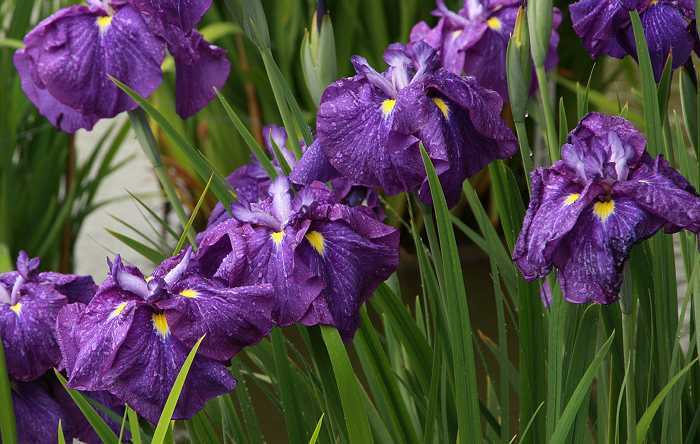 In other parts of the world, notably America and Belgium, new lines of Iris enstata have been bred in recent years and are becoming popular even in Japan. What follows is a pictorial essay for the most part. Naming of Japanese plants is often bewilderingly complex and idiosyncratic (even to Japanese people! 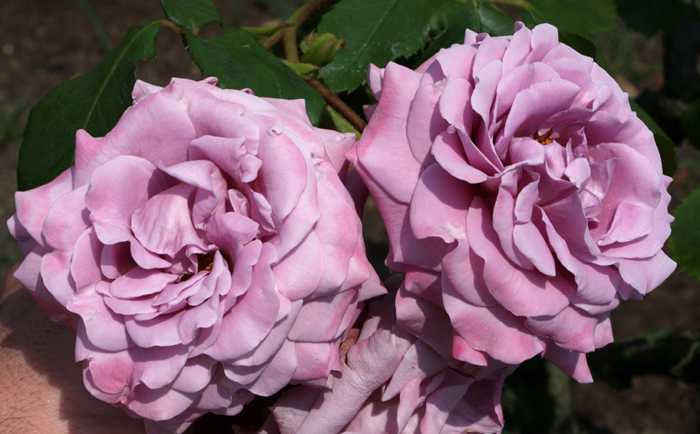 ), though the names of individual cultivars will be indicated with each picture along with their cultivar group. All pictures in this article were taken at Tenmangu Shrine in Dazaifu City. This Japanese iris garden, though far from being the biggest in Japan, is still chock full of Iris enstata, known as Shoubu in Japanese. Plants grow in circular cement planters year round. A wider view of the garden reveals its quaint setting among the hills and surrounding forests of Japanese cedar (Cryptomeria japonica) and hardwoods. Even the monsoon rains won’t keep flower lovers away from the display. On the border of Saga and Fukuoka Prefectures in northern Kyushu, is the “tsutsuji temple”, Daikozenji. Tsutsuji is the general term used for azaleas in the Japanese language, and this temple is stuffed full of them such that in late April and early May the place is aflame with their flowers. During this season thousands flock to the wooded slopes where the temple sits, nestled in a forest of cedar and maple trees, to view the spectacle. This temple has a history dating back nearly 1300 years, and is associated with the Tendai Sect, a form of Mahayana Buddhism. The various temple buildings are built at the base of Chigiriyama (“Pledge or Promise Mountain”). Though the temple is a tourist attraction these days, it remains nevertheless a religious sanctuary where prayers are given to ward off evil, to ensure traffic safety, and to keep families safe. As with other Buddhist temples in Japan, death and funeral rites are a major focus as well (compared to Shinto shrines which are involved with traditional marriages). Daikozenji, the “azalea temple” is crammed full of azaleas and maple trees. The visual impact in late April is astounding. 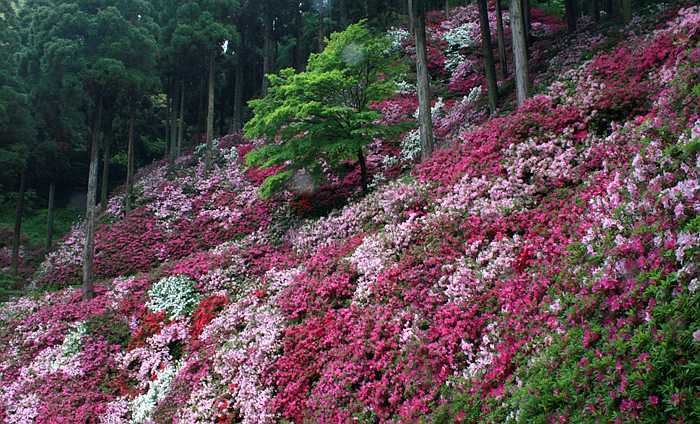 Nowadays Daikozenji is best known for its mass plantings of azalea bushes – all 50,000 of them! The temple grounds cover some 75,000 square meters, or just about 18.5 acres. Much of the area behind the temple buildings (the bulk of the property) is literally covered in azaleas under a canopy of Japanese cedar (Cryptomeria japonica), hinoki cypress (Chamaecyparis obtusa), various native hardwoods (notably Castanopsis sieboldii), and a variety of maples (said to number 500 in all). 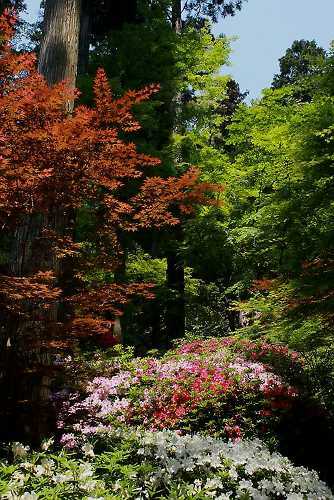 Paths lead up the mountain to various scenic points, including one hill that is resplendent with azaleas under a thin canopy of trees – the main spectacle of the garden. 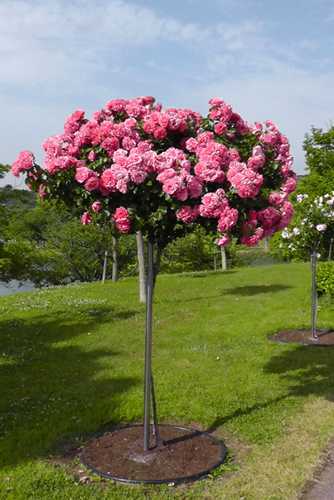 Elsewhere the pattern is pretty simple – forest under-planted with azalea bushes, most standing one to two meters tall, in a near continuous patch. Here and there one can see the native Rhododendron known as shakunage in Japanese, R. degronianum, as well as two Viburnums, V. japonicum and V. plicatum. Just behind the temple buildings is a little vale that serves as the center of the garden. Here the cedar trees are bit larger and maples abound, creating a cathedral-like atmosphere. Here too are the ever present azaleas, viburnums, and a smattering of other plants including Calanthe orchids. 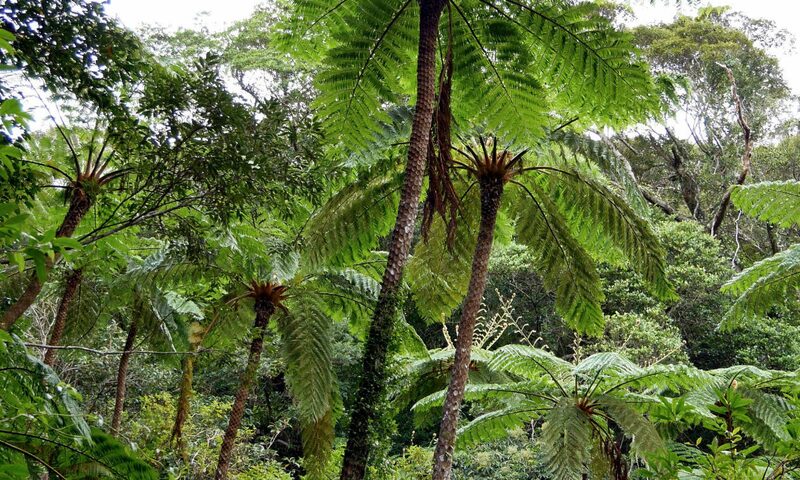 Plant diversity is highest in this area though this garden is not known for great variety. Here too are ten wooden flower viewing houses, one of which is open to the public during flowering season. The other nine are rented out for private parties. They sit on platforms hanging off the hillside and have windows all around allowing for excellent views. Small streams gurgle down past them into pools full of koi. Without a doubt this part of the garden is the most magical. One of Daikozenji’s featured attractions is a hillside literally covered in azaleas under a high canopy of Japanese cedar trees. The main group of azaleas began to be planted during the late Taisho period (1912-1926) and by 1950 Daikozenji became famous for its spring flowering display. In 1957 it was given its nickname “azalea temple” (tsutsuji tera) by Kurume City’s Rotary Club. Since that time its fame has grown and now is one of those must see places in the local region. It’s parking lot is huge, stuffed with private vehicles and tour buses during the main flowering period (late April) and again in mid November (when the maple trees show their fall colors).